It’s very disappointing when you see your mentor, icon or public figure behave immature in some situations they find themselves. 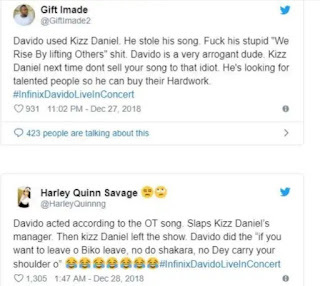 For some people with exceptional abilities, the realization that they are, in fact, more capable in many ways than ordinary people lead to a distorted sense of entitlement and self-concept, a deep sense that they are better than everyone else in some ways that are not justifiable. 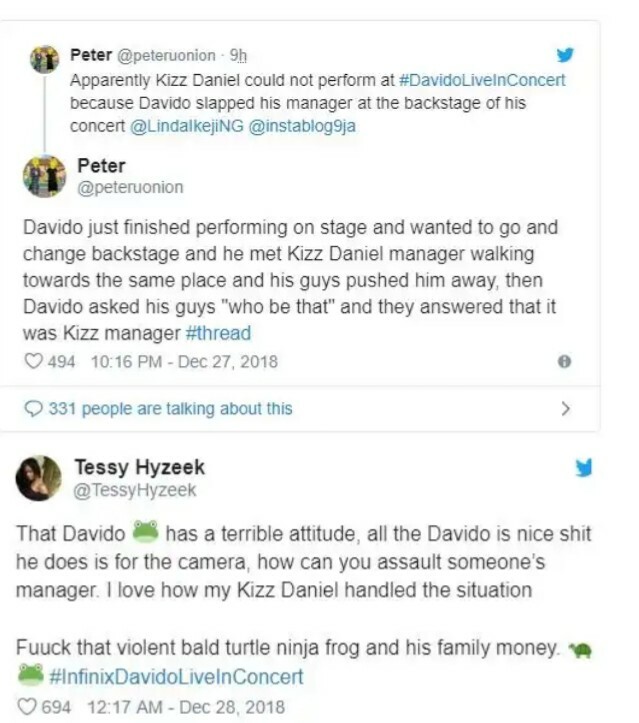 The DMW boss has been involved in so many crisis this year and for some reasons people don’t see the bad side of Davido. Don’t forget he was declared wanted in Gambia few weeks ago for attacking a professional photographer in Gambia. 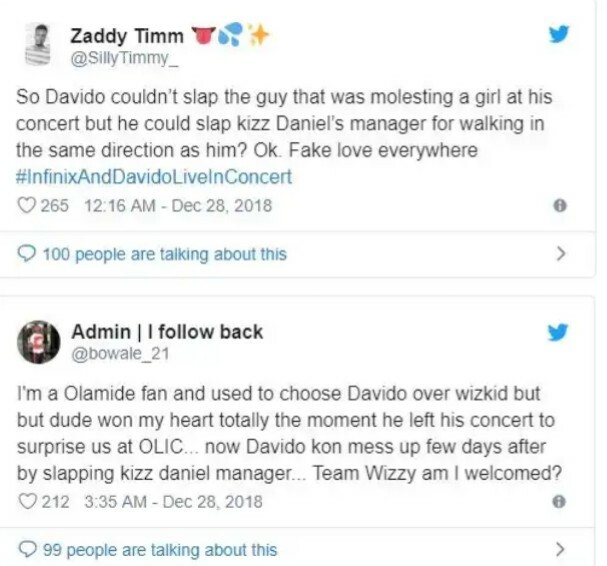 Then again, he slapped Kizz Daniel Manager and pour drink on him yesterday at the backstage of his show. 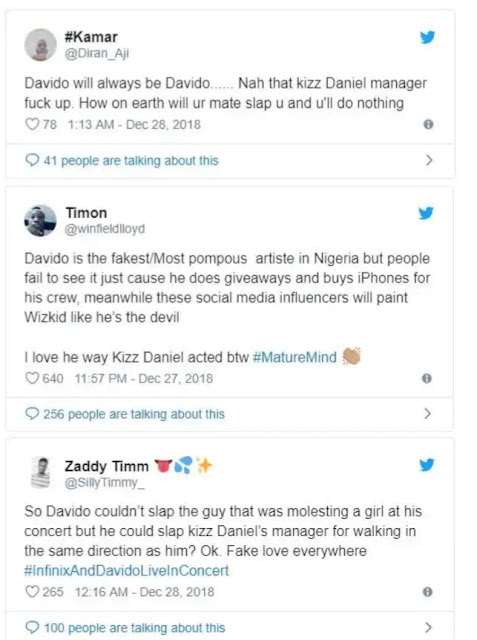 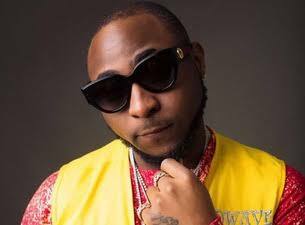 Naijaloaded had quoted an eyewitness report stating that Davido finished performing and was heading towards the changing room when Tumi attempted to seek his attention. 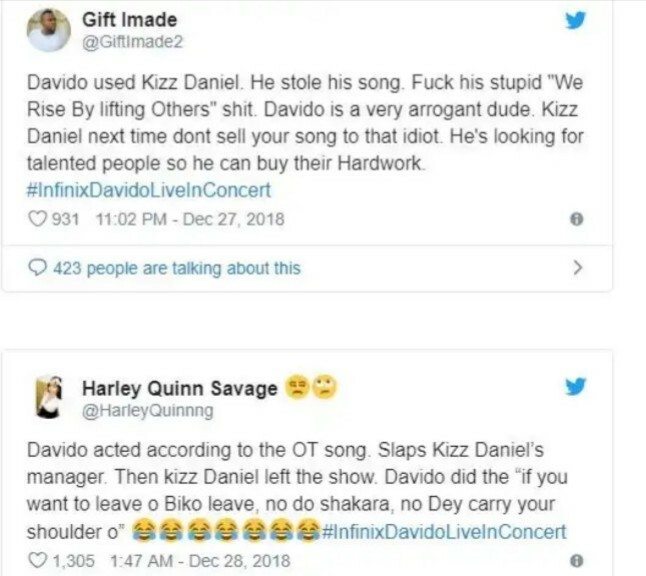 Displeased with the incident, it was gathered that Kizz Daniel Maturely walked out of the show, leaving the “Wonder Woman” crooner to perform their hit song “One Ticket” alone.